Rejection Through the Eyes of a Runner. Two weeks ago when I got rejected from a job I had written the job description to and thought for sure I’d be hired for, it really hit me hard. Before coming to Penn, I had only really been rejected once in my life, for a senate page position. I know, you are thinking “man she had it easy” but God has a sense of humor and is more than making up for the lack of rejection I had experienced before three years ago. But I also don’t want you to feel sorry for me or think that consolation or validation is what I am looking for with this post, instead I just want to share a bit about how I have seen God in and through my rejection. There is nothing like developing the thick skin that allows you to roll with the punches that come from applying and being rejected by so many different positions and jobs. Protection can come through rejection. 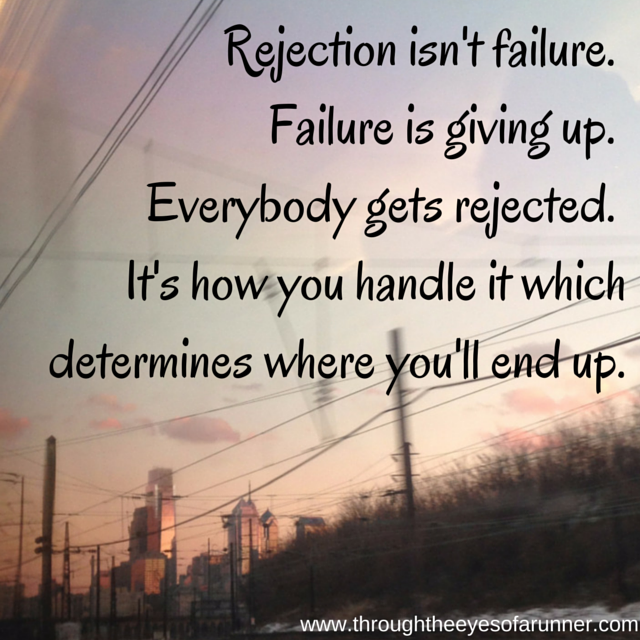 I found out that my first rejection ended up being a safety mechanism God used to protect me. The girl who ended up becoming that senate page was sexually violated during her time with the program. I truly believe that God caused two specific rejections to come my way in the past month as a method of protection, removal of temptation, and a safety mechanism for me. So for that, I am so grateful. At times when my self-confidence and ego get a little too big for my own good, I think rejection is a way to re-center myself and remind myself that God has a plan for me and any credit I am taking for myself is not being attributed to what really brings me strength and my blessings. Reliance is necessary through rejection. The only way to truly come out on the other side of rejection in a positive, constructive way is to realize that in rejection, you must refocus and rely on God to bring you through. Though rejection hasn’t been fun the past couple months, it has really taught me the importance on relying on God and trusting that when the time is right his plan will be revealed to me. 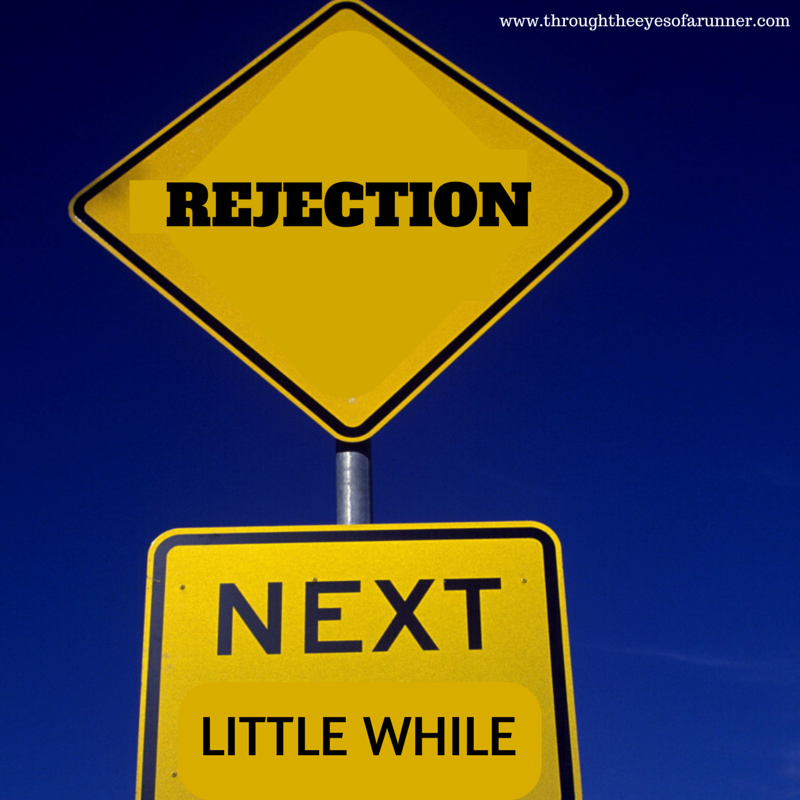 Don’t get downtrodden; rejection sets you up with so much for the future! Comment below with your thoughts on rejection or how you have overcome rejection! I like your revised attitude. His ways are not our ways & it is all a learning process. Great thoughts! Rejection not only redirects people, but can also help them to see how much they want something. For example, in the process of going to Africa in 2009, I had to do interviews with the agency. After one of them, I thought for sure I would be rejected. I was wrong and was accepted, but I still remember the time in between. I told God if this didn’t work, I would still find an avenue there, because I knew that’s where He wanted me. 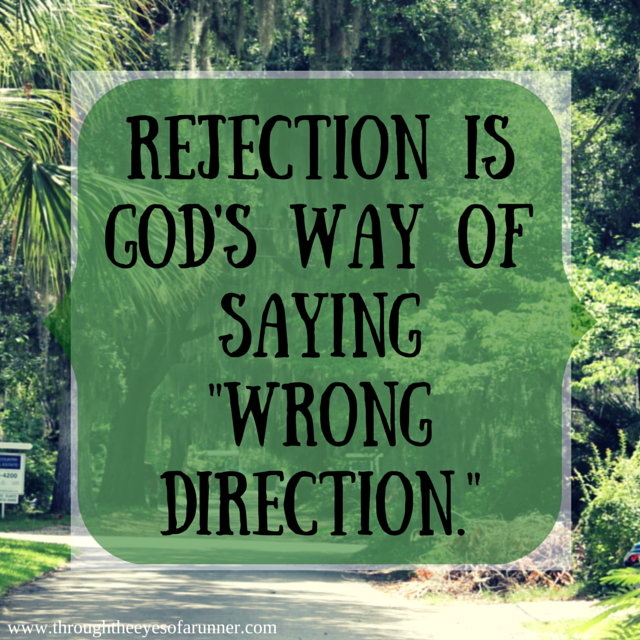 Rejection is a growing process and I think God puts it, and the potential of it, in our path to help form us. Amen! We have to listen to God’s will and forsake our own sometimes, but his power proves mighty again and again when we finally do listen to him! your growing a little every day. Isn’t it crazy when we discover how God was protecting us from something we thought we wanted because He has better plans. It makes me wonder how many other times He protects us that we don’t even understand. Thanks for writing this Mel! You already know I’m in the same boat as you right now, but thanks for your positive words that I can apply to my life as well! This is so good and so true and I love the quotes on the images you made and man. You just get stronger and stronger and continue to inspire me! I love you, Erica! Thanks for being one of my biggest supporters! I don’t know what I’d do without you! Great attitude, and amen! I went through a rough patch in my life when rejection seemed to be everywhere, and it really taught me that I needed to trust God’s vision more than mine. As a result? I’m not super flexible and I’ve been told I’m easy to work with. (: It’s pretty great! I love how encouraging and humble you are! So glad I’ve found you! Kiera, thank you for sharing! This is beautiful and isn’t it awesome to see where God brings us during those rough times! His vision is so much greater and more powerful than ours! It baffles me and amazes me. Thank you for reading and commenting! 🙂 Do you blog somewhere? I’d love to check it out because if you do I can tell I will already love it!